A simple vibration test can help oil and gas companies prevent pipeline spills in a way that is faster and cheaper than conventional methods, a UBC study shows. The study, conducted at UBC’s Okanagan campus, found pipeline imperfections could be identified by “tapping” the side of a pipe and then measuring the resulting vibrations, known as modal analysis, against the vibrations predicted by computer models. “After developing the mathematical platform and entering it into a computer, we can predict what the level of vibration should be if the pipeline that is being tapped is free of imperfections,” says Hadi Mohammadi, an assistant professor of engineering. “When I conducted the tap test on actual pipeline material and looked at the resulting patterns of vibrations, weak points could quickly be identified. 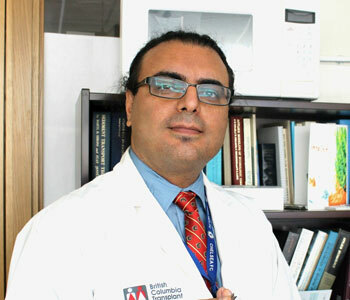 Mohammadi, whose research area focuses on bio-engineering, began employing his “tap test” theory on pipeline material after testing its validity on human bones. The “tap test” was equally useful in identifying areas of deficient bone density, which could be used to help identify conditions such as osteoporosis.